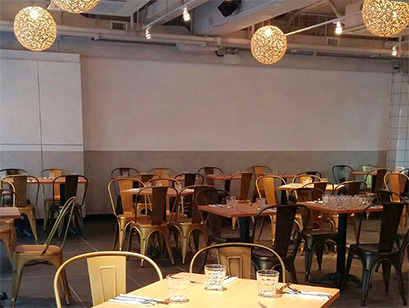 Moreish & Malt is new casual dining concept in up and coming industrial Kwung Tong. From the group that brought you Kowloon East Kitchen (established in 2014), our interior design reflects two separate identities that share the same space to offer a dining experience (Moreish) and a bar, lounge (Malt) experience. Refers to having a very pleasant taste and making you want to eat more, which in our case is akin to a casual dining room serving flame grilled chops in East Kowloon. 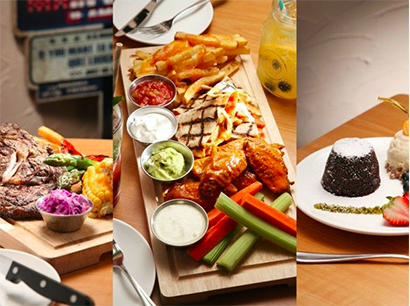 We use fresh ingredients, classic grilled meats and homemade desserts to offer a casual and enjoyable dining experience. Refers to barley or other grain that has been steeped, germinated, and dried, used for brewing or distilling, which in our case is akin to a café and lunch space by day, a bar by night to hangout after-work. Kick back and relax with our selection of beer, wine, hand crafted signature cocktails, and pub-food. Moreish & Malt is always coming up with new dishes, desserts and drinks to surprise and delight. Check back often to keep up to date with our food and drink offerings! We are proud to be featured and will continually strive hard for our good name to spread far and wide. At Moreish & Malt, we are all about making sure that every experience you have with us is a good one. If there’s any way for it to be even better, drop us a line and we will get back to you as soon as we can. Keeping you updated in the fastest and most visual way possible. Copyright 2016, Food Fabulous Co. Ltd.